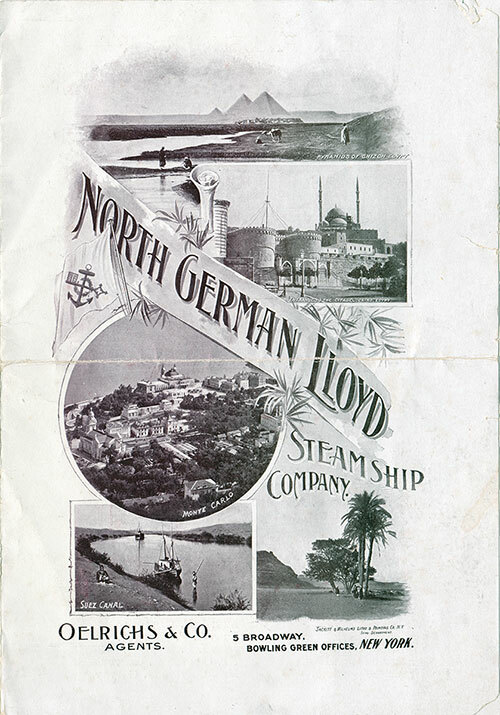 Cabin Passenger list for the SS Kaiser Wilhelm II of the Norddeutscher Lloyd, Departing Tuesday, 18 December 1900 from New York for Genoa via Gibraltar and Naples, Commanded by Captain D. Hoegemann. Notable Passengers included: Dr. Emily Blackwell, Thomas Cleland Dawson, Henry Lane Eno, Francis Marion Crawford , Wilhelm von Haxthausen, Hon. Levi P. Morton, Sarah Logan Wister, and Marquise Cecile de Wentworth. 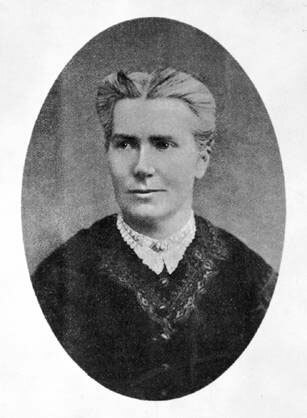 Emily Blackwell (October 8, 1826 – September 7, 1910) was the second woman to earn a medical degree at what is now Case Western Reserve University, and the third openly identified woman to earn a medical degree in the United States. Portrait information for Dr. Emily Blackwell is unknown. 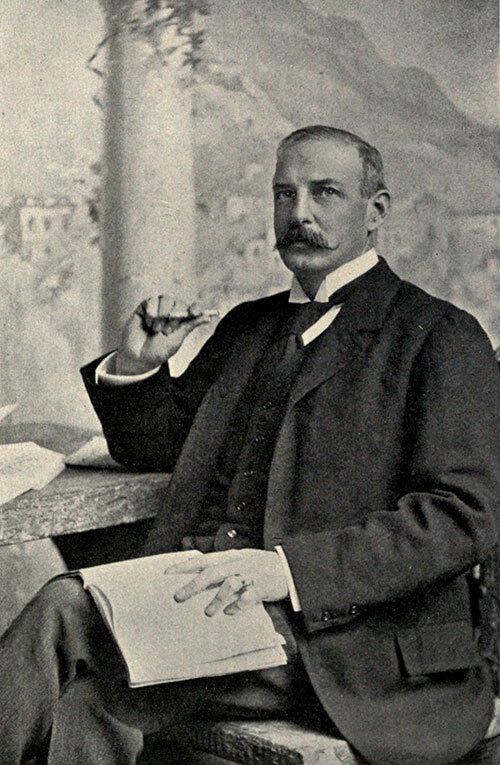 Francis Marion Crawford (August 2, 1854 – April 9, 1909) was an American writer noted for his many novels, especially those set in Italy, and for his classic weird and fantastic stories. Below is a photograph of Francis Crawford published by L C Page and company Boston 1903 - Little Pilgrimages. Levi Parsons Morton (May 16, 1824 – May 16, 1920) was a Representative from New York and the 22nd Vice President of the United States (1889–1893). He later served as the 31st Governor of New York. A Portrait Photograph of Hon. Levi P. Morton appears below. 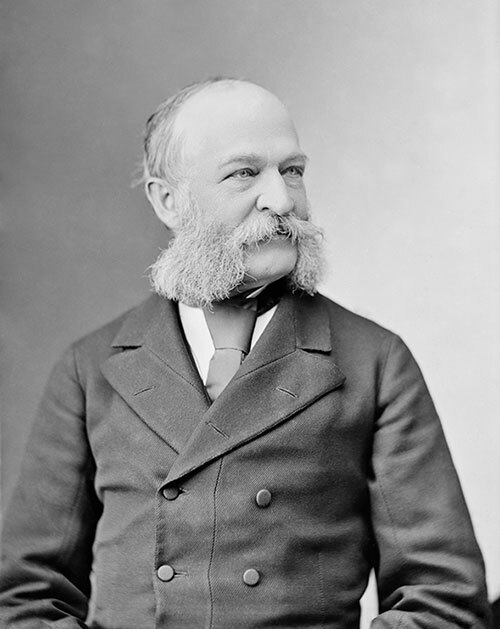 Republican Levi Parsons Morton of N.Y., the 22nd Vice President of the United States under Benjamin Harrison (1889-1893); also Representative for New York's 11th district (1879-1881), United States Minister to France under James A. Garfield (1881-1885), and, after his Vice-Presidentship, Governor of New York (1895–1896). Photograph from the Brady-Handy collection of the Library of Congress, restored by Adam Cuerden. Marquise Cecile de Wentworth and maid. Prepared 2015-05-25 by Paul K. Gjenvick, MAS, Archivist. Portions pertaining to Notable Passengers from Wikipedia.